Jeffrey Pemstein has over 29 years of professional experience in land development, home building, and construction. Since completing degrees from both Occidental College and Cornell University in the 1980s, Jeff has enjoyed a varied and successful career that also includes land use policy and urban planning, CEQA/NEPA compliance and environmental permitting, infrastructure planning and public facility finance. Serving as the Division President for Homes by Towne - Sacramento Division (a Zilber Brand) since 2003, Jeff oversees and has grown the operation into four business lines including Towne Development (land acquisition and development), HBT Construction (new-home building), HBT Remodeling (remodeling and affordable housing construction) and The RCH Group (real estate advisory and consulting). His business philosophy centers on identifying niche markets, focus on delivering a consistent and high-quality product, and bringing together the right people to make the organization successful. ​Jeff is actively engaged in the North State BIA, serving as its Chair in 2010, and on the board for both the California Building Industry Association and as the Area 14-National Area Chair for the National Association of Home Builders. 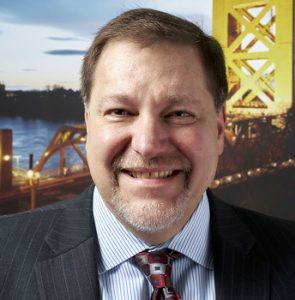 During his early career he served in several government service roles, was a founding partner for Pacific Municipal Consultants (PMC), a planning and environmental consultancy in Sacramento, a Division Manager for Willdan Associates Engineering, and a Project Manager for KTGY (formerly Corbin-Yamafuji Partners). ​Jeff is married to Christine Fore-Pemstein, who also serves as the Sales and Marketing Director for Homes by Towne in Sacramento. Together they have four children (Kristin, Taylor, Jason and Jessica), three of whom have worked for the company at varying times, and a granddaughter (Megan). The family enjoys participating with various charitable organizations, such as HomeAid and the American Heart Association, as well as travel and an array of outdoor activities.